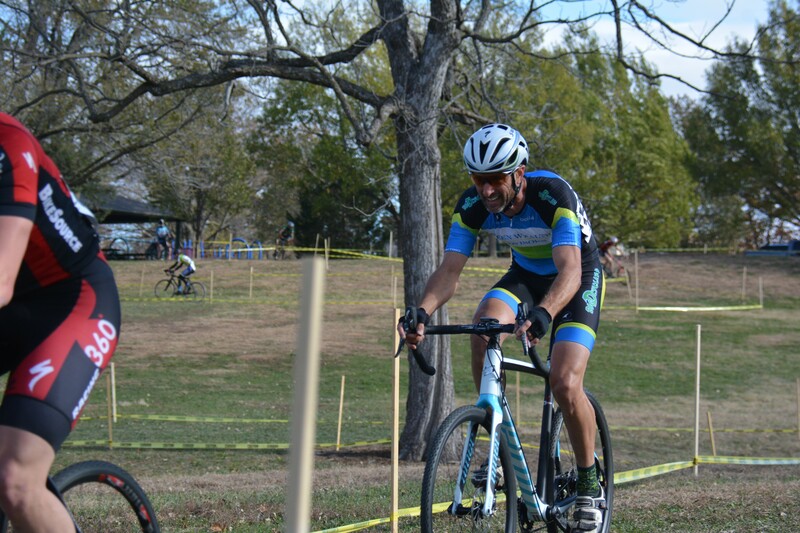 Big D Cycling Upsets 360 Racing in the KBCXT Masters! Big D Cycling Men’s Masters team, sponsored by Keen Wealth Advisors, defeated our worthy opponents at their own game and on their own course. Heading into the last KBCXR series race of the year, we were just a few points ahead of 360 Racing. We knew that they were on “all hands on deck” alert, so we needed to bring our “A” game. Big D’ers responded to the challenge with great efforts by Paul Aldeguer, Shane Jones, Steve VanNieuwenhuyse, Jim Clevenger, Paul Fancher, Chip Zimmer, Reg Robertson and Bill Jennings. Congratulations gentlemen ~ it was a true team effort! 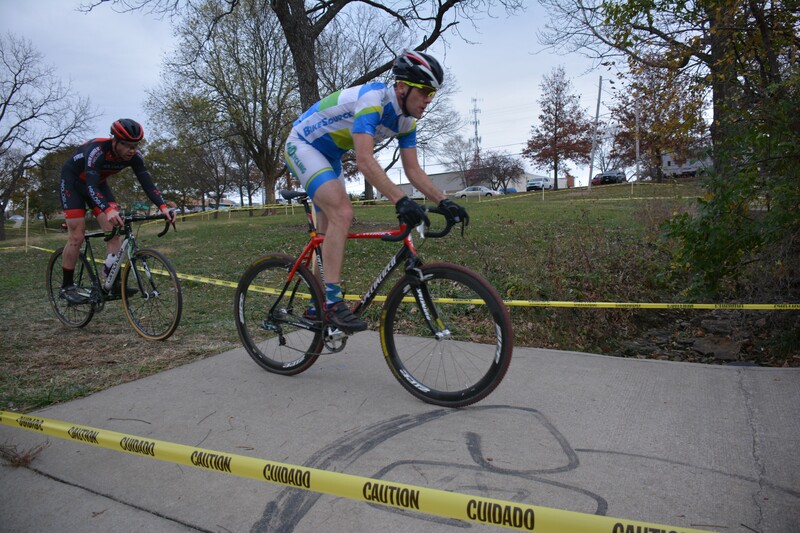 Big D Cycling now has Men’s Masters team titles for Road and Cyclocross in 2015! 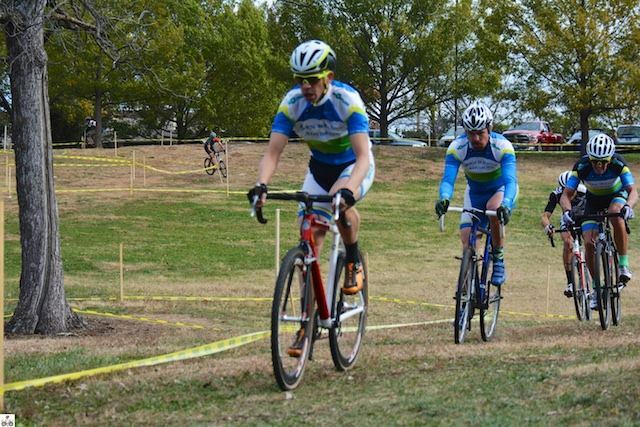 In a possibly more surprising occurrence, the Big D Cycling’s Men’s Category team finished a strong 2nd place in the Men’s KBCXT, with outstanding results all season from Tim Herre, Nick Comiskey, Steve VanNieuwenhuyse and Cody Jones. Nick Comiskey with a Wheelsucker lingering behind. Steve Van Nieuwenhuyse has a very long … last name. Amy Van doing her thing. Paul Aldeguer working the field over … with his beast mode face. Jim Clevenger leading the Big D train ~ Shane Jones and Paul Fancher close behind. 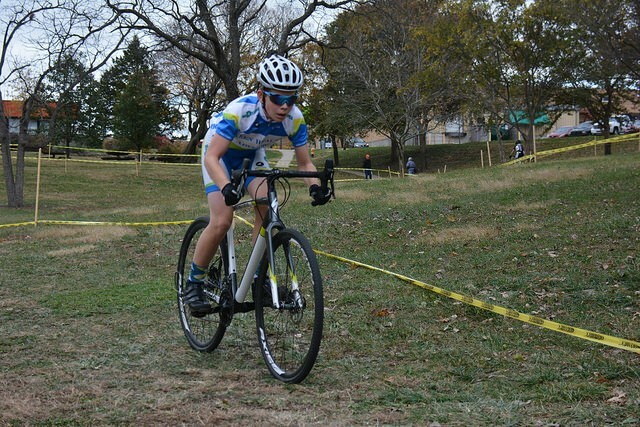 Peter Whalen racing in the drops! I hope everyone knows that Keen Wealth Advisors not only sponsors our team, but also sponsors race fees for all juniors. Our powerhouse trio of Juniors (Vaught, Whalen and Braley) responded with great results, steady improvement and all with a smile on their faces! If there was a total team competition for cyclocross, it would have been dominated by the cross studs known as Big D Cycling, sponsored by Keen Wealth Advisors. Special thanks to Greg Vaught and Steve VanNieuwenhuyse. 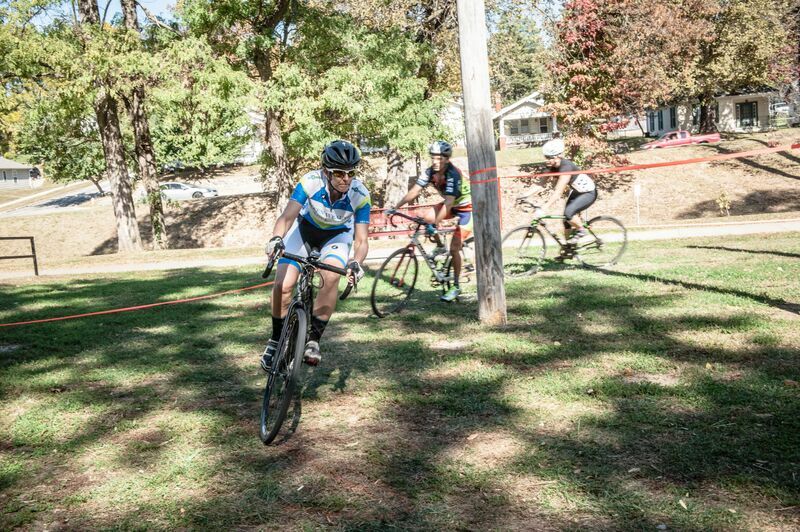 Greg gave us full access to his own personal cyclocross course and then worked to maintain it. He also lugged around our tent to most of the races! Steve ~ for his tireless efforts on setting up for our weekly cyclocross practice course and his work maintaining it. Roger Harrison of Lanterne Rouge shot all of these great action photos – see more of his work on flickr. 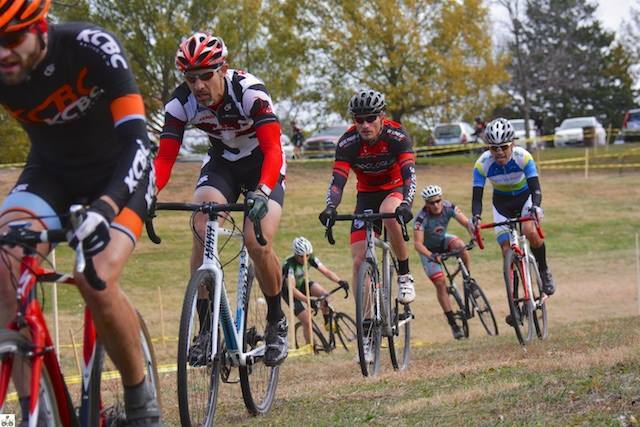 Previous PostBig D Cycling Dominates at 360 Cup!Next PostBig D Cycling Earns Masters Men’s Titles in 2015 Road and Cyclocross … and Has Fun Doing It!